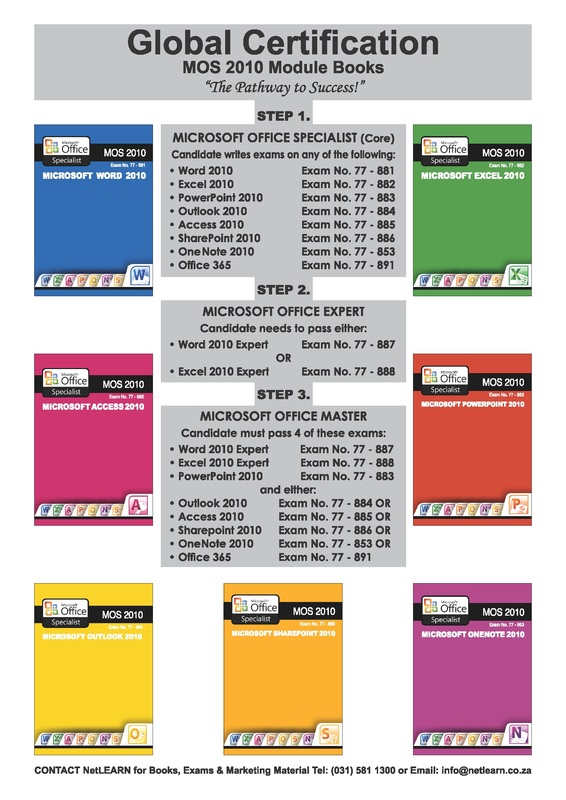 I am very proud to announce the publishing of my Microsoft Office Specialist 2010 Training Material. Watch this space for updates on the availability of my Word Expert and Excel Expert combination book. The courseware is mapped to SAQA Unit Standards [indicated throughout the books as well as on the Lecturer.Lesson Plan].